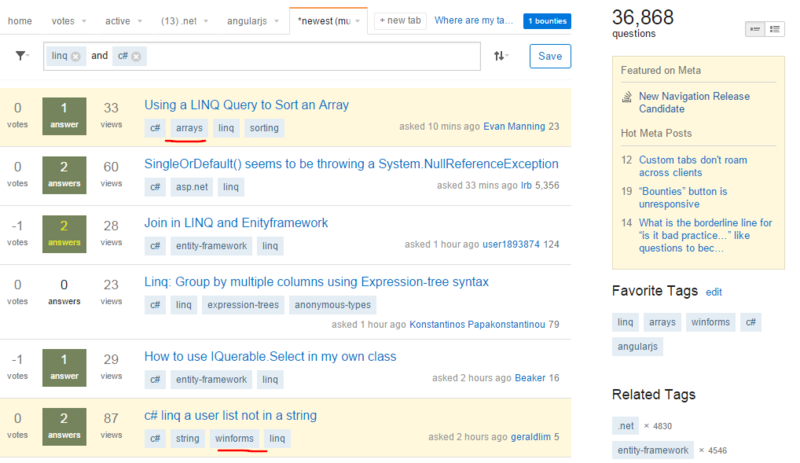 If I start off searching for a single tag, and then add "or [favorite-tag-2]" to the search, then only the questions with tag2 show up with the yellow background. After switching to another tab and back, every question will show up with the favorite tag background, including the first tag which didn't have the highlighting before. I feel like the only questions which should be emphasized are those with a tag which isn't in my search. I want to have a tab for questions asked in any of my favorite languages, but it's mildly annoying to see the entire page with that background. I'm torn on whether to tag this as a bug or a feature request, but since the behavior changes on reopening a tab when you use "or", it seems like a bug. I've discovered that navigating directly to a page that has such a filter (eg. for me Java and Scala) causes the highlighting to work correctly. But everything I've tried through the nav itself causes the problem. From the comments, this seems to vary between different people, but at least in my case it's 100% reproducible, and only stops upon refreshing the page. 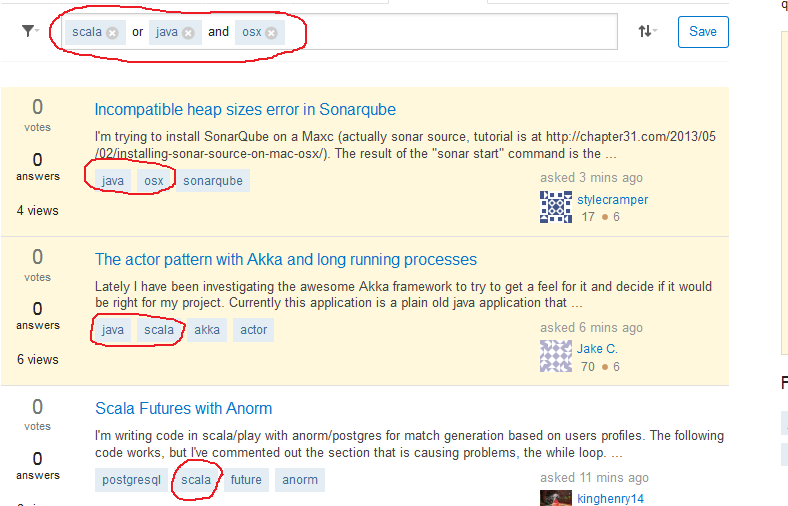 Browse other questions tagged bug search new-nav favorite-tags .